ACT or SAT? Are you facing the registration deadlines, feeling pressured to choose, and wondering which is better? Relax! The reality is that neither test is superior to the other. The decision of which one to take may be determined simply by whatever admission criteria is laid out by your school of choice. 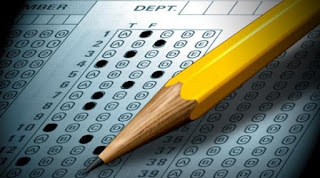 However, if the school doesn’t specify which test they want, making the “best” choice doesn’t have to be difficult. Although there is no hard science that proves that the ACT or the SAT is easier, you probably want to determine which test format is better suited to your strengths. Each test has different emphases and familiarity with their individual structures may help you sort out which is better suited to you. About the ACT The ACT sports four trademark multiple-choice subject tests covering English, Math, Reading, and Science. These are designed to evaluate your overall educational development and your ability to complete college-level work. You’ll have 2 hours and 55 minutes of dedicated test time to complete the subject tests, not including breaks. As far as scoring goes, your subject test scores (ranging from 1 to 36) are determined after throwing out any incorrect answers — only correct responses count! The four areas are then averaged together to come up with your overall, or composite, score. The ACT also includes an optional 30-minute writing test designed to measure your skill in planning and writing a short essay. This segment is your chance to highlight your writing skills! If you opt to take it, the additional scores will be reported, along with comments about your essay. These scores are reported separately. So, if writing is a weak area, you might want to take the ACT and skip the writing section, since it’s currently optional (although some schools require it). If writing is your strength, having extra kudos passed on to your choice schools may benefit you. About the SAT In contrast to the ACT, the SAT is designed to evaluate your general thinking and problem-solving abilities. It kicks things off with a required 25-minute essay. This is the start to the Writing section, which you’ll complete in addition to the Critical Reading and Math sections. The SAT differs from the ACT in terms of the amount of time you’ll have to complete it (3 hours and 5 minutes) and the format in which you provide your answers. Similar to the ACT, the SAT has multiple-choice areas, but it also has a part in the Math section where you’ll be required produce your answers — no chance of guessing from a set of choices here! And unlike the ACT, the SAT doles out a slight penalty for wrong answers on the multiple choice questions (but not on the student-produced ones). Both tests allot ample time for completion. For students who crack under pressure, it may be worthwhile to know that the SAT has fewer questions — 140 compared to the 215 on the ACT. The SAT also focuses heavily on vocabulary, while the ACT hones in on grammar and punctuation. The SAT also provides you with the chance to take Subject Tests. A few schools may require you to take some of these tests as additional requirements to your admission application. It’s possible you won’t need to take any, but you may want to consider it if you have strengths in particular areas. All of your scores from these additional tests will be reported, whether they were required or not. If you’re concerned that your scores on the required SAT sections may be less than stellar, consider registering for additional Subject Tests in areas that can demonstrate your skills in specific subjects like English, history, mathematics, science, and various languages. It all depends on you In spite of their differences, neither test is more likely than the other to produce a great score. In fact, the vast majority of students perform comparably on both tests. However, if you’re short on time and money and want to put your efforts towards preparing for only one of the tests, your best bet is to take a few practice exams. There are free and low-cost practice exams available electronically and in-print. If you’re undecided about which test to take, you may feel more strongly about one or the other once you become familiar with the format of both. You can then evaluate your test performance before heading off for the real thing.